When you’re craving a hearty pasta dish, this easy vegan bolognese is sure to hit the spot! It’s loaded with veggies and protein and jam packed with the delicious Italian flavours. The perfect choice for your next meatless Monday. The nuts and veggies give this dish the texture your looking for from a traditional Italian meat sauce, but with far fewer calories! Your cooked veggie and sun dried tomato mixture will look something like this. Don’t worry if it looks a little dry, the tomato sauce will add all the moisture needed. 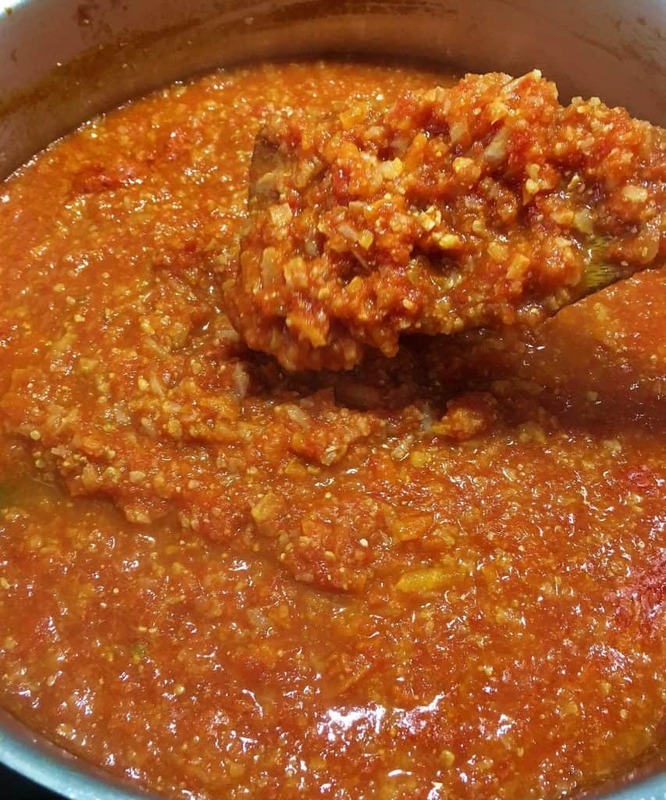 A bolognese sauce should be thick and rich, not watery. Look how hearty this sauce is. Drooling, just thinking about it again! YUM!! Toss a few scoops of the sauce into your cooked and drained pasta and mix well to prevent sticking. Make sure to also scoop some extra sauce on top of each bowl when serving. I use roughly about half the sauce for mixing and the other half for topping each bowl. 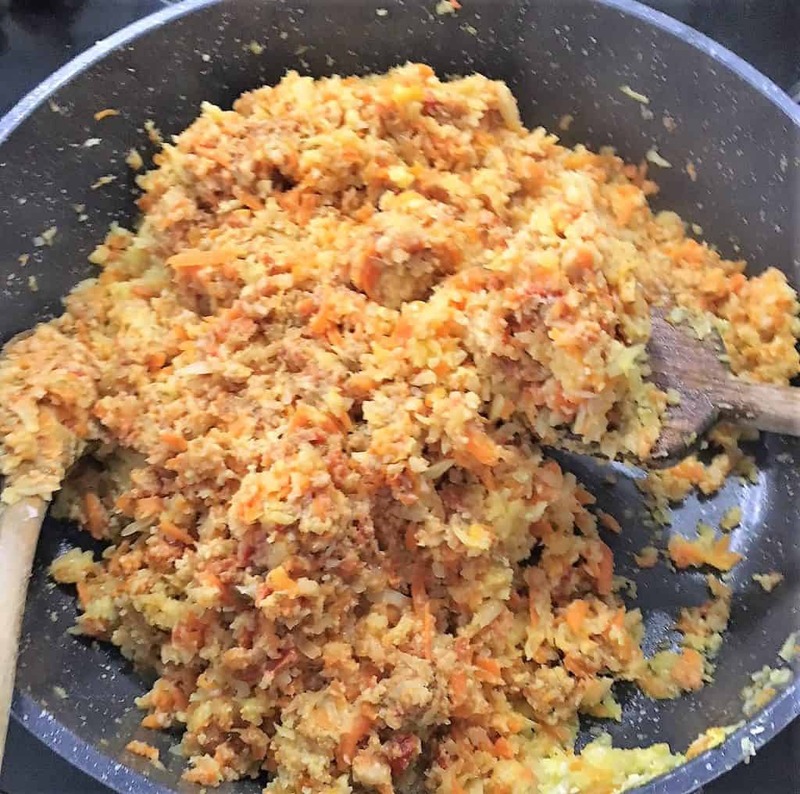 Did you enjoy this EASY vegan bolognese recipe? I’d love to hear what you think in the comments below. 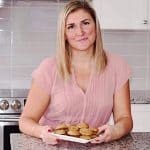 Looking for even more Italian recipes? Try these AMAZING Italian Stuffed Peppers made with true Italian style risotto. Or, give this simple and classic Penne Aglio E Olio a try. 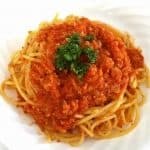 For your Meatless Monday, give this EASY Vegan Bolognese Spaghetti a try! It's hearty and contains all the delicious flavour and texture you're looking for. In a small blender, pulse the pumpkin seeds or walnuts and set aside in a small bowl. Then add the sun dried tomatoes and the water to the same blender, and blend until well combined. Pour the tomatoes into the same bowl as your crushed seeds and mix well with a spoon. If the mixture does not mix easily, add a little more water. Set aside. Cook the veggies over medium/high heat until slightly reduced and cooked through, approx 6-7 minutes, stirring often. Then add your tomato and seed/nut mixture and the salt to the skillet and cook for another 2-3 minutes. Add a little more water if the mixture gets dry. Pour the tomato sauce over your veggies and mix well. Then add the basil, oregano, bay leaves and parsley. Bring your sauce to a low simmer for about 20-25 minutes. You really want the flavours to combine. Taste your sauce and add more salt if desired. Meanwhile, bring a large pot of generously salted water to a boil, and cook pasta according to package directions. Drain and return to the pot. 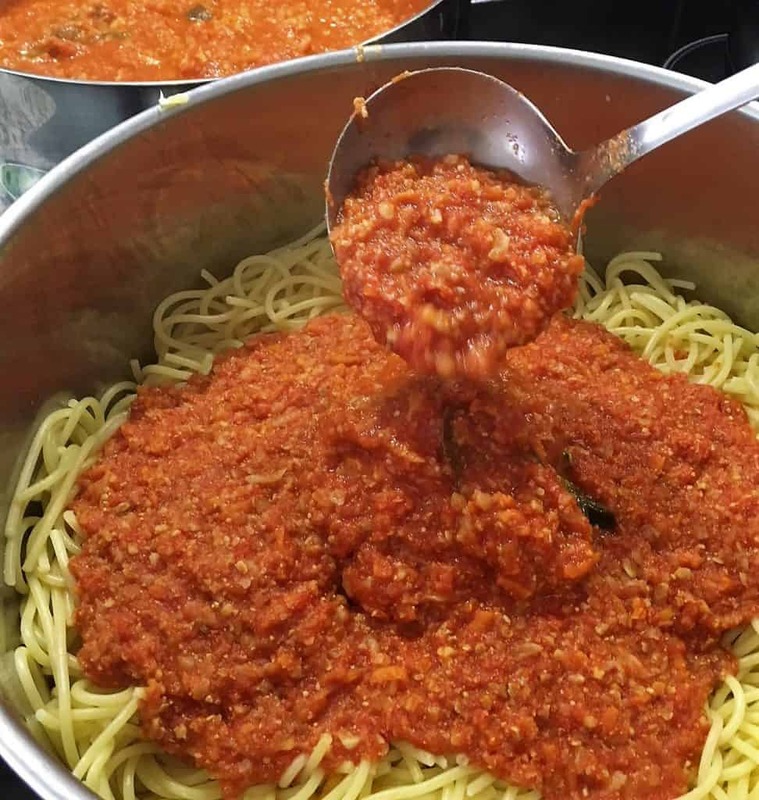 Pour about half of your vegan bolognese sauce over the spaghetti and mix well. Use the remaining half to top each bowl with extra sauce. Optional: Sprinkle some nutritional yeast over each bowl to add some "cheesy" goodness.